Home Plan: #108-1383 This image shows the Craftsman Style of this set of house plans. The #108-1383 home plan is a two story, craftsman style house plan with 4184 total living square feet. 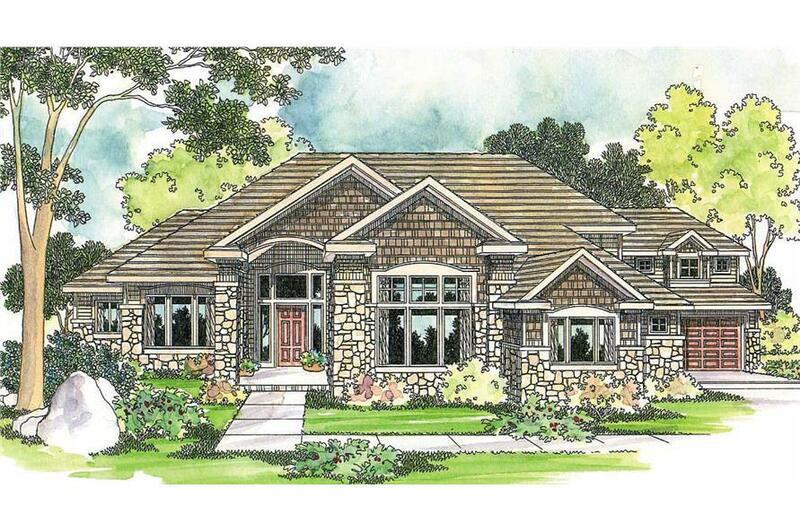 This contemporary craftsman home plan features rustic-looking stone veneer columns that flanks a lofty, arched entry. The family room with a fireplace is open to the expansive kitchen/dining room. The large home office is across the foyer from the window-bright living room.